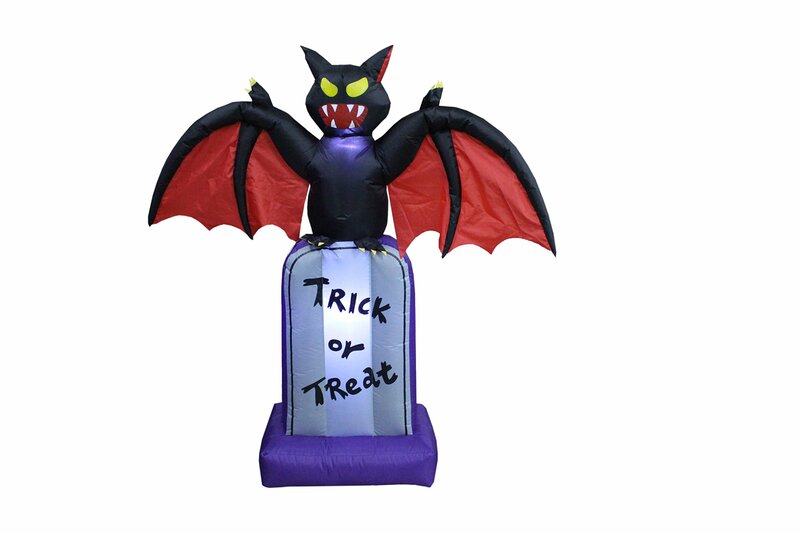 With self-inflating design, this Inflatable will be presented in front of yourfamily in seconds. With the lights, it is the perfect decoration at your frontdoor or backyard at night. Worried about storage? Simply let the air out andfold it! Caution: Do not inflate during storms or strong winds. Protect fanand power cord from water. Not for use in temperatures below 14 degrees F (or-10 degrees C). Not for children under 3 years. Please check out our other GOTINFLATABLES Halloween and Christmas Decorations! Share the joy of thewonderful festival with GOT INFLATABLES.